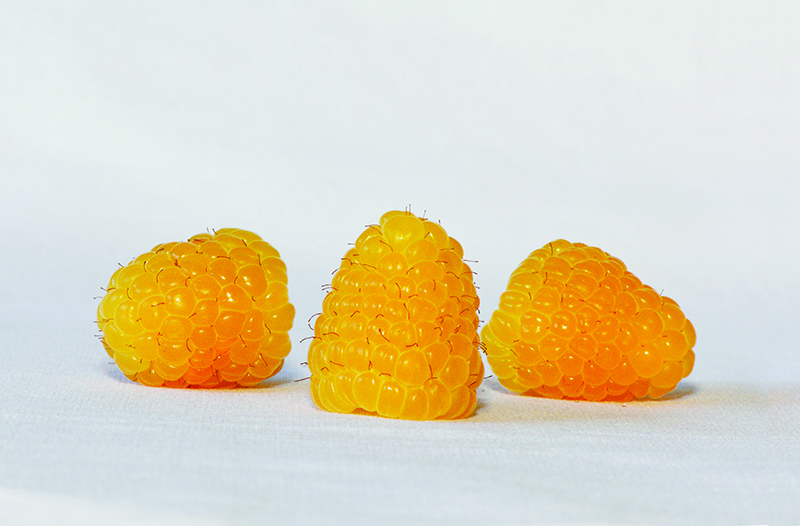 Jambo is a new primocane raspberry variety that produces firm fruit in a remarkable, bright yellow colour. Even days after harvesting, this colour is maintained. This variety is easy to grow and produces a high yield. Jambo is attractive to markets looking for fruit with a different, unique appearance. Jambo plants have an early production and an average vigour. Sometimes topping of young plants is recommendable to stimulate the vigour. Even though the older leaf often turns yellow, production is not limited. Jambo raspberries are easy to pick. They are conical shaped and robust. The beautiful fruit have good flavour and a long shelf life. Primocane production is the most suitable for Jambo. Fruit picked from floricanes are often a little bit smaller. Jambo is suitable for growing in moderate and Mediterranean climates.